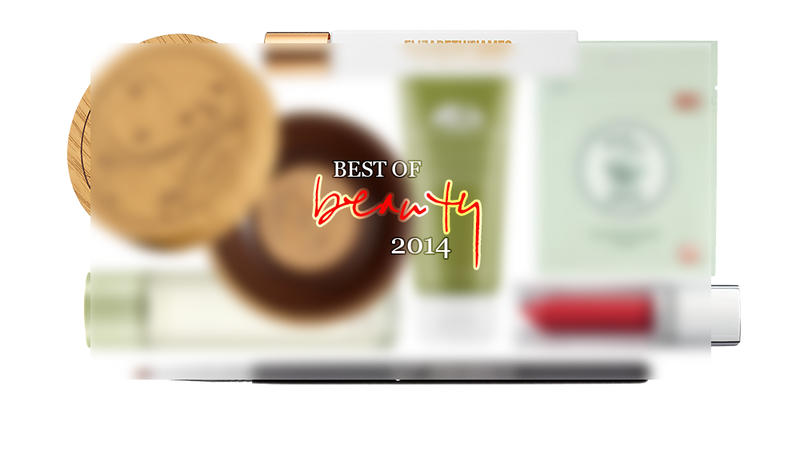 The new year is here, and I'm bringing with me into the new year my favorite beauty products that I've discovered in 2014! I've reviewed a lot of products this year, but there are a couple stand out ones that have the honor of having a permanent place on my beauty shelf. 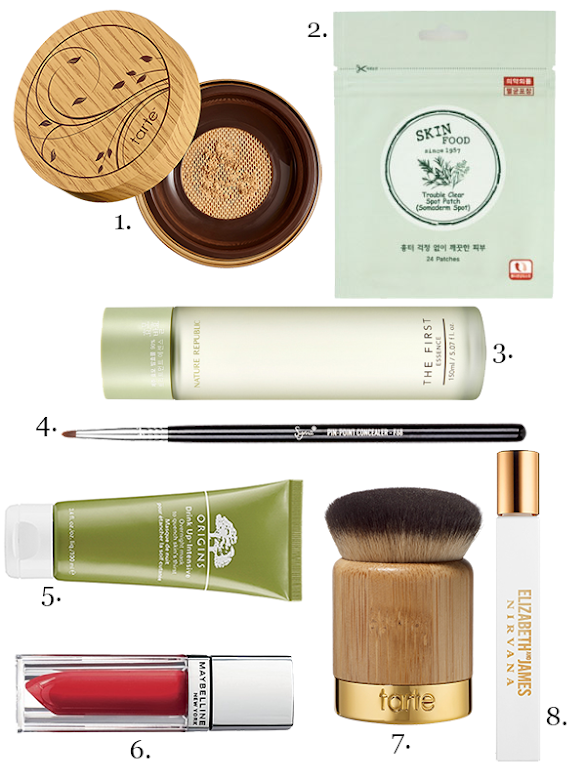 These are the products that I will continue to repurchase even after using it up! 1. Tarte Amazonian Clay Powder Foundation - reviewed here. 2. Skinfood Trouble Spot Patch - reviewed here. 3. Nature Republic The First Essence - reviewed here. 4. Sigma F68 Pin Point Concealing Brush - featured here. 5. Origins Intensive Overnight Mask - reviewed here. 6. Maybelline Lip Elixir in Signature Scarlet - swatched here. 7. Tarte Airbuki Foundation Brush - reviewed here. Here's to a beautiful new year! Hope you have discovered some new personal favorites as well! Feel free to share your favorites in the comments below.